The Festival was founded in 2011, promoted and implemented by the Angolan Association Njinga Mbande. Right from the start, the Festival is structured as a festival of African cinema, realized by authors and artists of African origins and not only. The goal is to bring to the general public little known aspects of the innumerable African realities. Starting from the name itself, "KIBAKA", which in the African language Mbatu means chair, establishes a strong bond with its origins: that of Kibaka is the chair on which sit the elderly, around which the boys are gathered, relative and friends to listen and learn oral tradition. 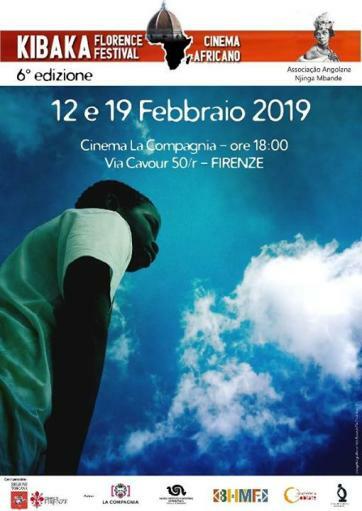 The 6th edition of the Kibaka Florence Festival will be inaugurated on Tuesday 12 February at 6.30 pm in the La Compagnia Cinema. This year's edition will have two dates, ie Tuesday 12 and 19 February.